Viriom, Russia and Hoffman La Roche Ltd., Switzerland, signed a collaboration agreement for research and development of innovative medicines for HIV, and ChemDiv was chosen by Viriom as a strategic partner to carry out pre-clinical and clinical development of this program. Due to changes in corporate strategy, Roche was looking for a partner to take over its internal HIV program and had a couple of very promising compounds in the pipeline that showed good potential to become best-in-class drugs. ChemDiv stepped forward with an innovative solution for Roche and proposed to form a partnership and consolidate Roche’s HIV assets in a start up biotech company Viriom to be able to move forward the compounds. ChemDiv offered its services and expertise in preclinical research and clinical development to help advance the program in the most time- and cost-efficient way. In this one-of-a- kind deal, Roche made a bold decision, which helped the company advance the innovative HIV program with an experienced and reliable partner and at a fraction of the costs typically associated with such development. For Roche, it also opened new opportunities as well as strategic access to the emerging Russian pharmaceutical market. Roche’s promising HIV program was not abandoned and ChemDiv had successfully completed all pre-clinical studies and had submitted the preclinical data package with the Russian regulatory agencies. Viriom is planning to initiate clinical studies in the middle of second quarter of 2010. Viriom is an innovative company, established in 2009 at the ChemRar High Tech Center for development of targeted drugs to treat HIV / AIDS. Viriom plans to conduct scientific research in Russia using the experience and knowledge of the Russian scientists. The company is partnering – among others – with Chemical Diversity Research Institute on preclinical studies of molecules, “Drug Technologies” on development of complete dosage forms, and the Moscow Center for HIV/AIDS Prevention. ChemDiv built an impressive track record over the past twenty years and is proud to have shared its knowledge with over a thousand pharmaceutical, biotech and academic partners on a range of drug discovery research projects with varying models of financial and scientific collaboration. These projects included discovery and optimization of small molecules for a range of therapeutic targets and pathways in oncology, inflammation and CNS; the VIP discovery chemistry technology access program; Focused Diversity libraries for biological screening, HTS collaborations, and integrated discovery and development projects. 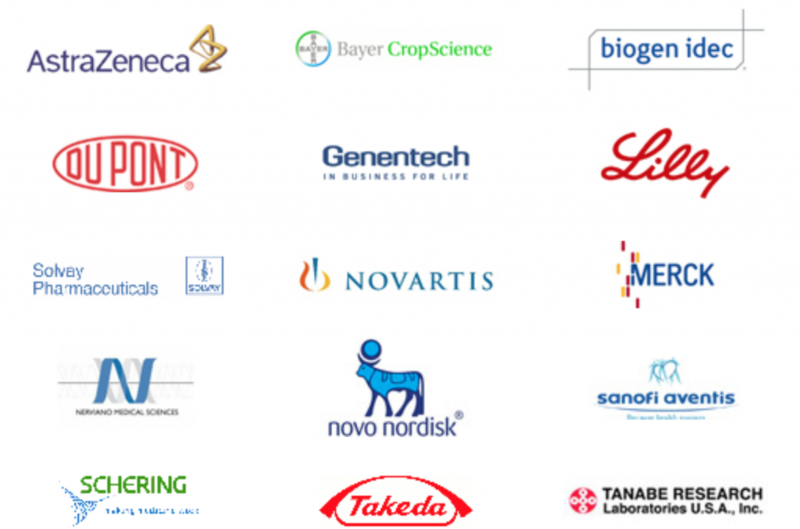 We have developed and executed pipeline/portfolio programs encompassing multiple targets and therapeutic indications for our partners; as well as providing preclinical, translational and clinical development services on a cost-effective, time-efficient basis.